U.S. Sen. Mark Warner (D-Va.), chairman of the Senate Banking Committee’s National Security and International Trade and Finance Subcommittee, will lead a hearing on Monday, Feb. 3 on ways to better safeguard consumers’ financial data. This will be the first congressional hearing held in the wake of the high-profile credit and debit card data breaches involving retail giant Target and others. During the holiday retail season last year, Target revealed that cyberthieves hacked 40 million debit and credit card accounts used by consumers at Target stores between Nov. 27 and Dec. 15. In January, the retailer revealed that hackers also stole the personal information of an additional 70 million customers. In recent weeks, similar cyberattacks have been reported by other retailers, including Neiman Marcus and Michael’s. Many of these data breaches are believed to have occurred after attackers installed malicious software on systemswhich collect payment card details. 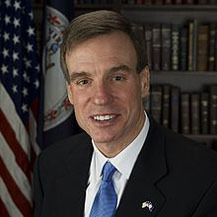 Sen. Warner said Monday’s hearing will include the following witnesses: William Noonan, Deputy Special Agent in Charge, United States Secret Service; Jessica Rich, Director, Bureau of Consumer Protection, Federal Trade Commission; James Reuter, Executive Vice President, FirstBank, on behalf of the American Bankers Association;Mallory Duncan, General Counsel, National Retail Federation; Edmund Mierzwinski, Consumer Program Director, U.S. PIRG; and Troy Leach, Chief Technology Officer, PCI Security Standards Council.